On 21 June 2017, the Chartered Institute of Building (CIOB) announced the formation of a Commission of Past Presidents to investigate construction industry build quality; a particularly pertinent subject in light of the Grenfell Tower fire disaster. In addition to Grenfell, the commission comes following the Cole Report, which investigated the defects that led to the closure of 17 Edinburgh schools earlier in 2017 and the wall failure at Oxgangs Primary School in January 2016 [see top image]. The Commission will investigate what steps CIOB should take to address; management and supervision, the importance of an education framework, steps the industry can take to improve build quality. “The recent tragic events at Grenfell Tower have further underlined the need for an urgent review of the way in which quality is managed in our industry. Whilst aspects of the public inquiry must necessarily focus on the issues of regulation and inspection, I think we have to look beyond this at the behaviours that have led to a lack of focus on quality at all stages of the build process, from design and procurement through to construction and re-fit. 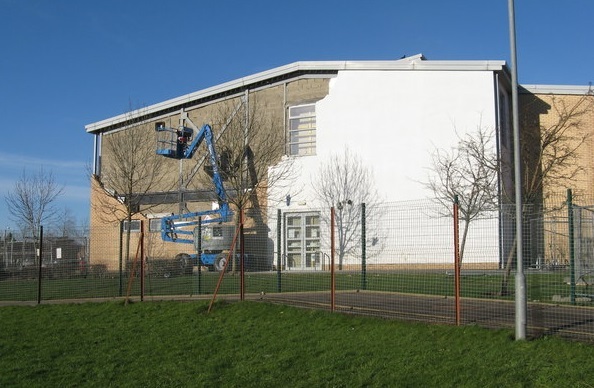 NB On 21 June 2017, evidence to the Scottish Education Committee revealed that defects had been discovered at five more Edinburgh schools following inspections carried out in the wake of the Oxgangs Primary School wall collapse.